(November 9, 2004) -- As LBReport.com reported yesterday, someone at City Hall quietly agendized a closed session of the City Council on November 9 at 4:00 p.m. to confer with City Manager Jerry Miller regarding the price and terms of payment for a strip of land at the southern end of the Boeing property abutting the northern border of LB Airport, west of Lakewood Blvd. in the general area of Conant St.
Unofficial rendering based on L.A. Assessor web site data. Conant St. is northern border of property strip. Airport property line, roughly midway between Conant St. and Monlaco Rd., is southern border of strip. Also listed for closed session Council discussion on November 9 is an item under Gov. Code section 54956.9(b) "for the purpose of a conference with legal counsel regarding anticipated litigation -- matters which involve significant exposure to litigation -- one matter." Uh, pardon us, but why is LB's City Manager discussing the price and terms for this Airport-adjacent piece of property? As City Councilmembers know or should know, under the CA Brown (open meetings) Act, there are only certain limited and very specific grounds on which they are allowed to meet as a group behind closed doors to discuss the public's business. One is pending litigation; another is real property negotiation. These limited grounds do not permit Councilmembers to huddle with management behind closed doors to have a wider discussion on anything else. In our view, the law on this is quite clear: if anyone in that closed session tries to drag discussion into collateral areas beyond real property negotiations for those specific parcels, or into areas beyond the pending litigation, they will be breaking the law and trying to drag others into breaking the law. The law is also quite clear that under the Brown Act, the City Council as a body, by a vote of its members, has the last word on whether a matter properly discussed in a closed session should be opened for public discussion. 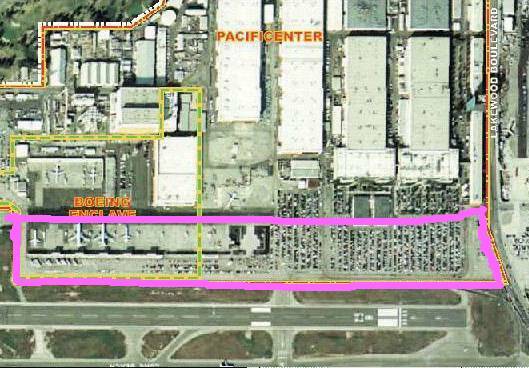 We urge Councilmembers to vote in closed session to open to public discussion later that afternoon or evening (not at some future Council meeting) the reasons why the Council's City Manager is negotiating for this strip of land adjoining LB Airport. And we urge Councilmembers not to grant approval for negotiations over this airport adjacent strip of land until the reasons for it have been publicly disclosed and publicly discussed. We also urge Councilmembers to vote to disclose the subject matter of the pending litigation if it in any way involves the FAA and Douglas Park. 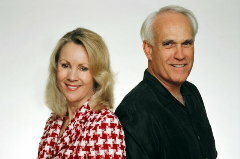 To our knowledge, LBReport.com was the only LB media outlet to report exactly what the FAA said about LB's noise ordinance in 2003. LB's previous FAA encounter resulted from City Hall's infamous May 2001 conduct that concealed from the public the real reason for changing LB's flight slot allocation rules. That Council act (8-1, Carroll dissenting) recklessly filled all of LB's Airport large aircraft flight slots. That City Hall conduct, not LBHUSH2 and justifiably concerned homeowners, put LB's noise ordinance at risk. That City Council action, facilitated by a code of silence, invited virtually every serious LB Airport problem the city now faces. We continue to consider the FAA's 2003 letter to be a bullying, bureaucratically unfair response in gratuitously including veiled threats to LB's noise ordinance. The FAA's latest correspondence to a third party on Douglas Park invites the conclusion that this dangerous agency may have become a loose cannon on land use matters, displaying conduct impossible to reliably predict. Whether the FAA has reiterated its previous views or made new noises, the public deserves to know about them. The Council decides that.